We have been doing a lot of modelling recently! We have been very lucky boys. 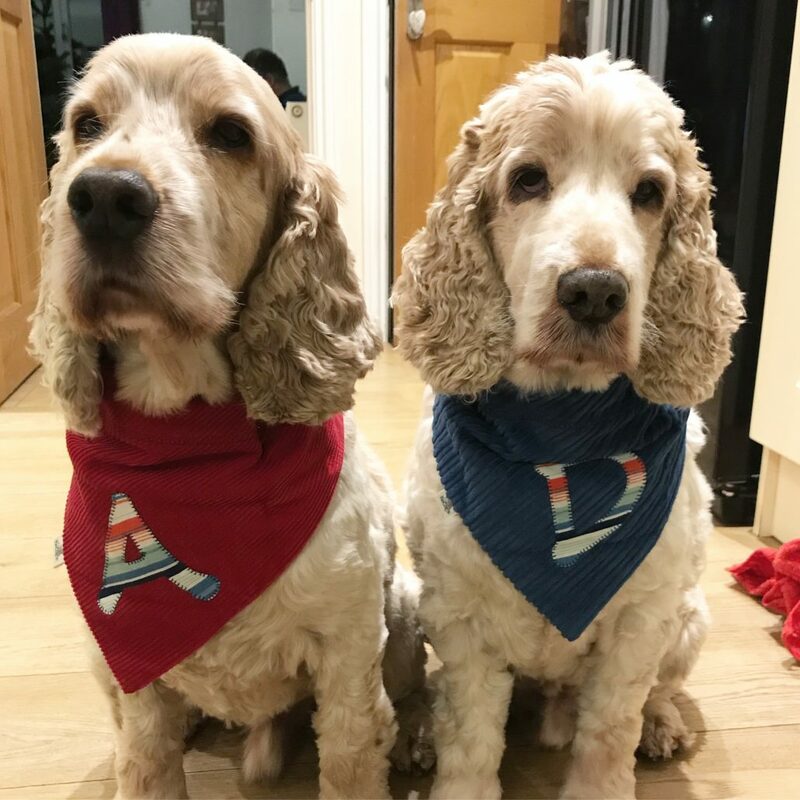 First of all, we were given an early Christmas present of two beautiful bandanas. 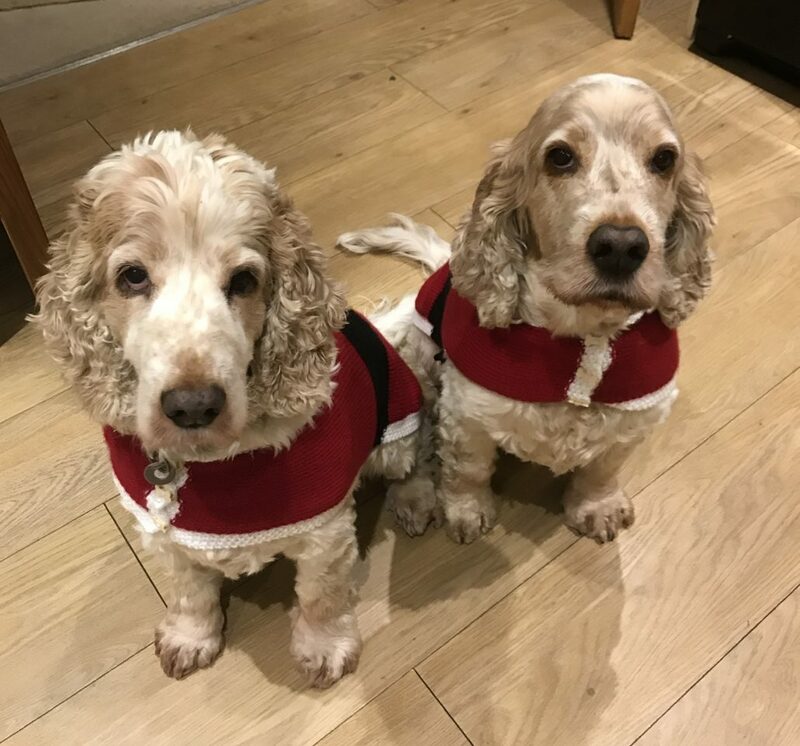 They were sent to us by some very kind friends in Spain. There no mistaking who is who now! Aren’t they beautiful. 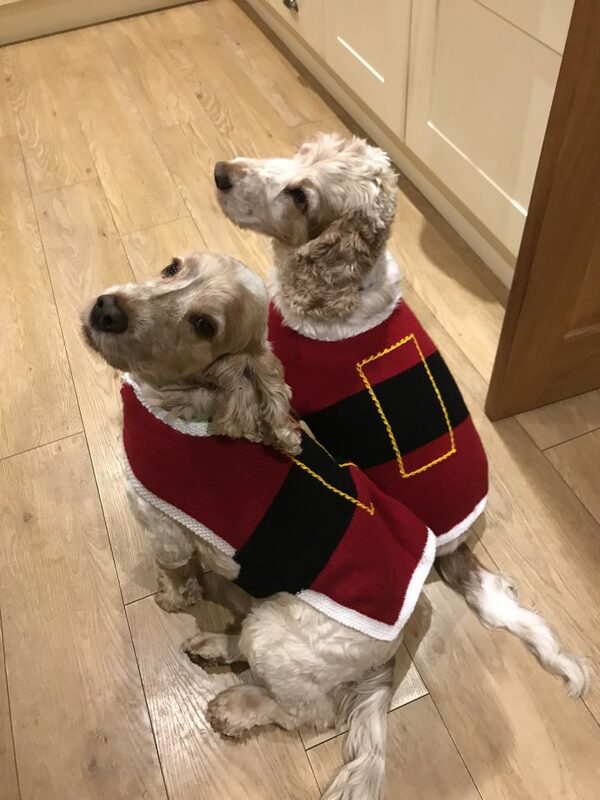 Then, one of Mums Instagram friends kindly knitted us two Santa Claus jumpers. 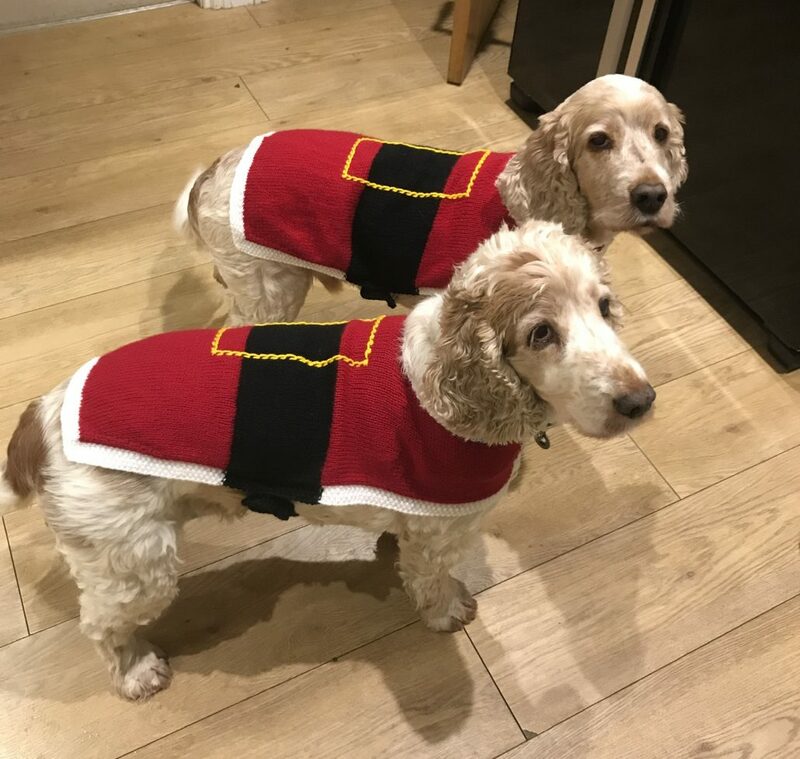 Mum had seen them on Instagram and thought we would make fantastic Santa’s. We think we do too! We love modelling for mum. It always ends in a treat for us, so everyone is happy! Look how proud we look! Start with the ones easiest to buy for! 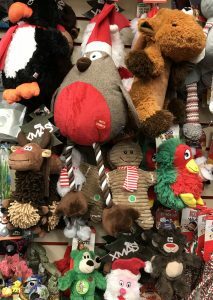 Prices start at £1, so there is something for everyone! https://www.riponpets.co.uk/wp-content/uploads/2018/11/86298865-B5F2-4790-B6D7-8383317AF554-e1541066227588.jpeg 1200 900 janifish https://www.riponpets.co.uk/wp-content/uploads/2017/02/Logo-2-The-Pet-Shop-Ripon-e1487865902880-300x70.gif janifish2018-11-01 10:08:312018-11-01 10:08:31Christmas is coming! Feeling a bit like Christmas! 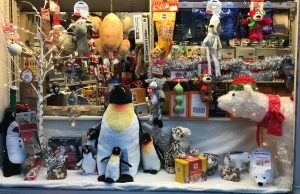 Mum has been really busy, trying to get the shop ready for Christmas. 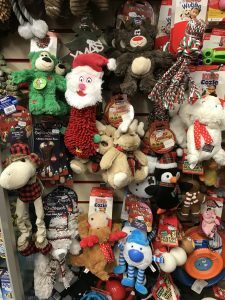 Last Sunday she decided to get the Christmas window display done. This is not the easiest of tasks as there is only a very narrow space to work in. There was a bit of muttering about her bottom being too big and she couldn’t fit, which we thought was rather amusing. Anyway, after a good couple of hours of rearranging, tidying, rearranging again and sweeping up copious amounts of glitter and bits of tinsel, the window was done! 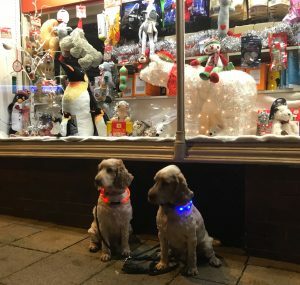 Of course, we had to be involved as usual and helped mum by standing posing in front of the window! Treats were involved! 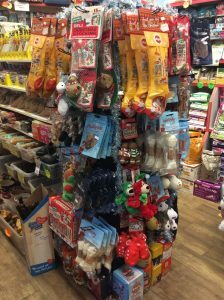 We have had a good look at ALL the lovely Christmas toys and gifts for dogs, and have already made our choices. A turkey for me (Dexter) and a snowman for Archie. 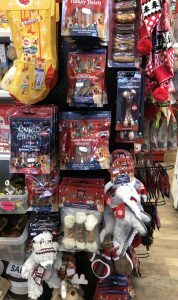 Oh and of course plenty of yummy Christmas treats. 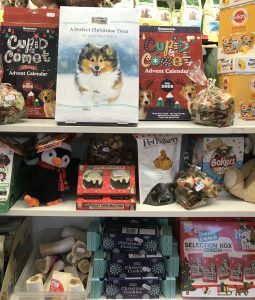 We are opening late on Thursday November 23rd – so why not pop in with your pawrents and choose your own Christmas present! 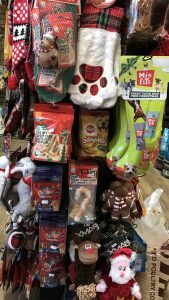 There will be lots of snacksies for all our four legged friends (and maybe chocolates for our other human friends). https://www.riponpets.co.uk/wp-content/uploads/2017/11/IMG_3531.jpg 960 960 janifish https://www.riponpets.co.uk/wp-content/uploads/2017/02/Logo-2-The-Pet-Shop-Ripon-e1487865902880-300x70.gif janifish2017-11-17 12:46:032018-10-21 13:25:00Feeling a bit like Christmas!